Andrea D. Crumback practices in the area of civil litigation, with a concentration in general corporate, construction and personal injury matters. Andrea also specializes in local taxation matters and she practices before the Michigan Tax Tribunal and the State Tax Commission in property tax appeals. She handles criminal misdemeanor litigation and collection matters. In addition, Andrea practices in family law, including divorce, property division, child custody, parenting time and child support issues. 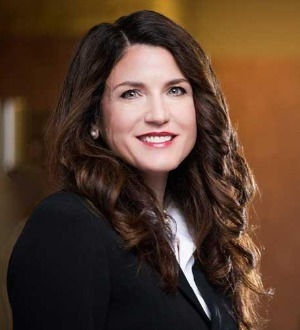 Andrea is a member of the American Bar Association, the Michigan Bar Association, the Grand Rapids Bar Association, and was formerly the President of the Young Lawyers Section of the Grand Rapids Bar Association. She received her B.A. degree from the University of Michigan, and her J.D. degree from Wayne State University Law School in 1992 where she was a member of the Moot Court National Team.